Lycus Sulci is a very complex region surrounding the northern and western flanks of Olympus Mons. 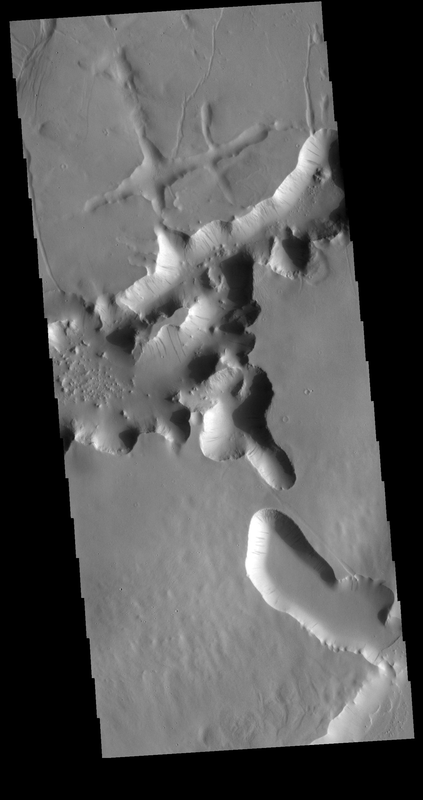 This VIS image shows some of the tectonic features found in Lycus Sulci as well as the dark slope streaks that are common in this region. Right angle intersects of valleys indicate tectonic fracturing. Bowl shaped channel heads may form by release of a liquid such as melted subsurface ice.